Work, spouses, kids, social media, current events, happy hour, sports games, gym time, and so many other activities pull our attention in different directions. The pressure to multi-task is greater than ever before and this doesn’t even include the constant thoughts we battle to stay engaged. Little time is available to be quiet and alone with our thoughts and when we do find a few minutes to exhale, our brains are so accustomed to running a million miles an hour that we can’t focus on our priorities. The same devices we credit for organizing and running our lives are responsible for training us to have the attention span of a goldfish. In a time that praises busyness, many of us have forgotten what it’s like to pause, take a good look at what is most important and carve out a path to those goals. The biggest dreams and the best intentions are nothing unless you harness their power and put them to work. Ideas are living inside you, waiting to be birthed into existence. Turn your dreams into reality as you take charge of your mental energy and develop focus. Channeling your best ideas into action is simple when you have the right foundation. A framework of achievable steps are the building blocks of your success. Your foundation is built on you knowing your why, surrounding yourself with the right people, and equipping yourself with the unique tools to accomplish your dreams. Determine where you are starting, where you want to go, and who needs to be on the journey with you. Each day in the book provides challenging questions to raise the bar on your determination, keeping your eyes on the end goal. 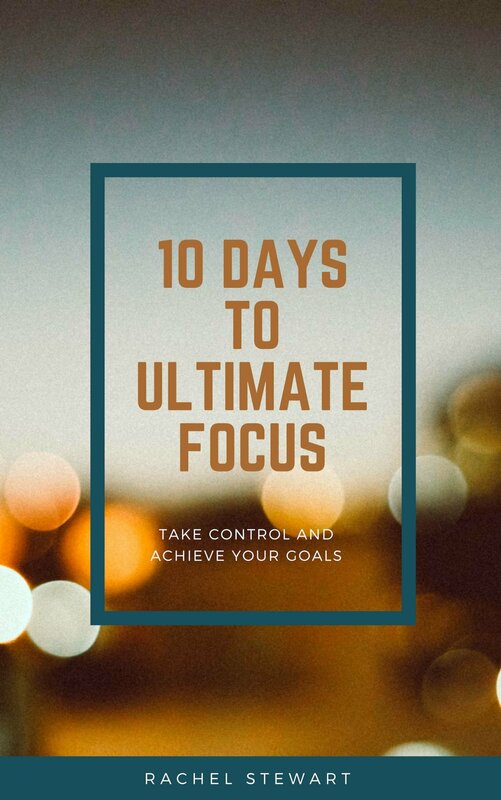 10 Days to Ultimate Focus is your opportunity to pause and reset your habits as you dig in and increase your grit. Available in paperback and for Kindle readers via Amazon HERE. Your potential is untapped and as you strengthen your ability to focus, you'll move forward one step at a time toward the best version of you.